Showing 40 of 116730 results that match your query. 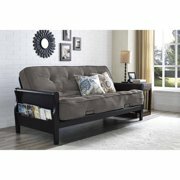 Product - Chelsea Home Furniture 85254E-B-N-3 Chelsea Log Bed - 48 x 70 x 91 in. Chelsea Home Furniture 85254E-B-N-3 Chelsea Log Bed - 48 x 70 x 91 in.